Edison volunteers take down an electric truck built from food cans. 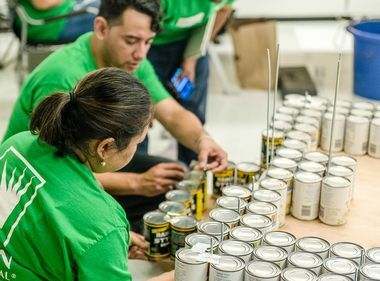 Edison volunteers help deconstruct the electric truck and charging station made from various food cans to help those in need during the national event. 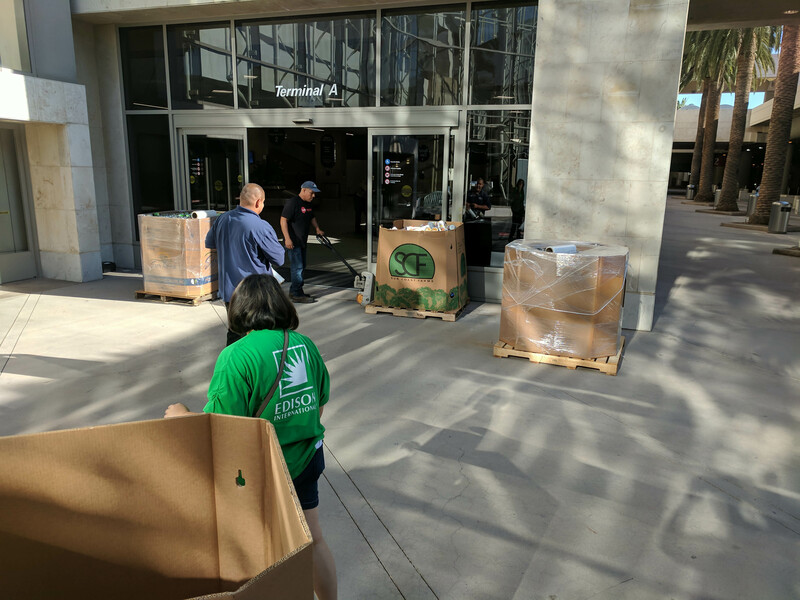 After more than 80 volunteer hours over a four-month period, the electric truck and charging station made from food cans by Southern California Edison employees for Canstruction OC, a national charity event, came down recently and are now heading to a local food bank. The entire deconstruction took only about 2½ hours. Edison volunteers Cindy Creed and Frank Delemos help pack food cans for the Orange County Food Bank. 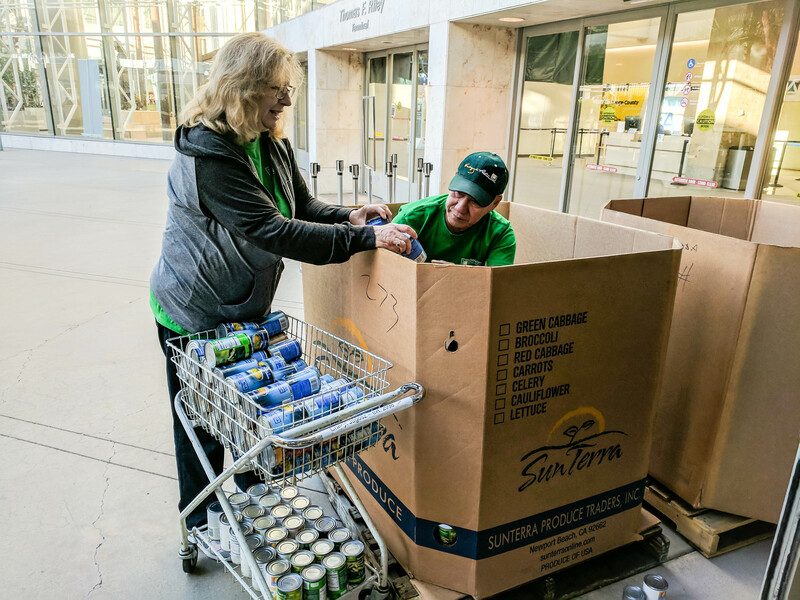 More than 75 SCE volunteers used about 4,200 cans of food which are on their way to the Orange County Food Bank. Participants included engineers who used their design and building skills to create the structure, which took about 10 hours just to put together. The finished product had been on display at John Wayne Airport for most of this month. 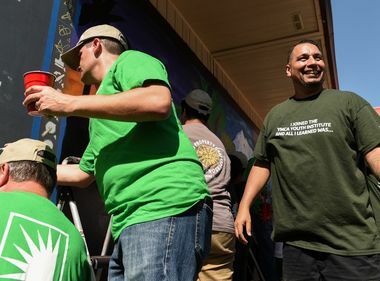 “Completing a project is always a great feeling, but knowing that the project will help end hunger makes it even better,” said Barriga. Edison volunteers help pack food cans for the Orange County Food Bank. 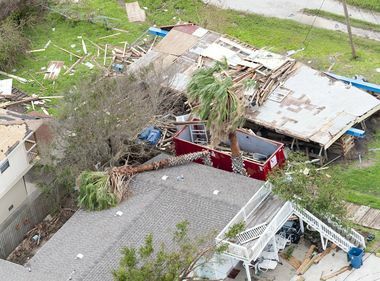 SCE’s entry for this year’s competition was an electric bucket truck with a charging station and wall mural made out of cans of green, ranch-style and cannellini beans, peas, tuna, chicken broth and hominy. Pringles containers were used for the truck’s boom, ramen packages for the orange cab light and Mentos rolls for the charging station power cord. Winners will be announced at Thursday’s Canstruction OC CAN-Do Awards. 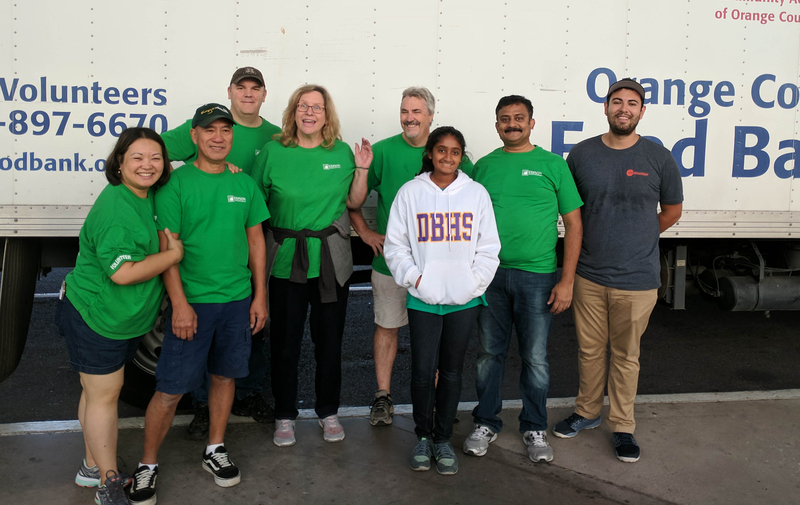 Edison Canstruction volunteers (l-r): Gladys Delemos, Frank Delemos, Robert Tucker, Cindy Creed, John Creed, Srijani Krishnan, Krishnan Rajendram and Martin Barriga.